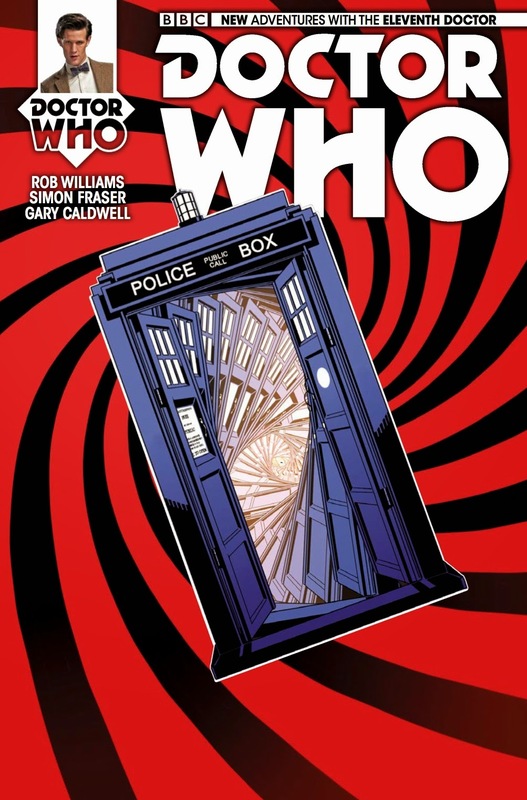 Give the creative team on this issue of Doctor Who (the Eleventh Doctor) credit for trying something different on a series that is famous for being different. It's so different, I'm not sure I can explain it. The story is told in reverse, one page at a time (but not one panel at a time). The supporting characters have no idea what's going on, but the Doctor does, of course, as he works to saves the Tardis from destruction - and an alien planet. It's a lot of fun, and it captures the personality of the Matt Smith incarnation of the Doctor - but it is a bit of a strain to keep up with a story that's (mostly) running in reverse. Kudos to writer Rob Williams for crafting a story that had to keep him up nights working out the twists. Artist Simon Fraser crafts some high-energy art here - the only criticism is that his take on the doctor is a bit off in a couple of panels. Still, it's a fun story and makes good use of the medium. And it's always fun to see #11 back in action!